So far we have seen smart TVs, smart thermostats, smart fridges, and more. According to a team of researchers though, the ultimate home achievement for a futuristic and technological home is smart wallpaper. Researchers from Nanyang Technological College in Singapore have now developed a form of printed electronics that can transform the walls of your home into a range of different digital devices incorporating sensors, switches, speakers, and microphones. These electronics are designed to be printed straight onto a range of different materials, including aluminium and paper, and the researchers believe they could also be printed directly into wallpaper for the home. The wallpaper has the electronics embedded straight into it, meaning you can talk out loud and tell your devices what to do and the wallpaper will do the rest. Once you have given a verbal command, the wall will also respond to you, giving it a Siri-like feel. “You talk to the wall and we can print loudspeakers for the wall so the wall can talk back to you. Instead of trying to lift your handphone to call someone, you can just talk to the wall or call for help. So it's a little bit like your iPhone, but a big iPhone." According to Asia Report, creating the printed electronics needed for smart wallpaper is relatively cheap and comes out at as little as seven cents a sheet. As well as using the printed electronics in wallpaper, it could be used in transparent film over windows. There is currently quite a big focus on the health market for this wallpaper, and while there is already a range of products and apps that can monitor heart rate, tell you when a dressing needs changing, and more, the idea is that elderly people can use the wallpaper for a range of different things. If they need to do anything or need to speak to someone they can speak to the wall and it will do the rest - this would be particularly useful if they were to fall. 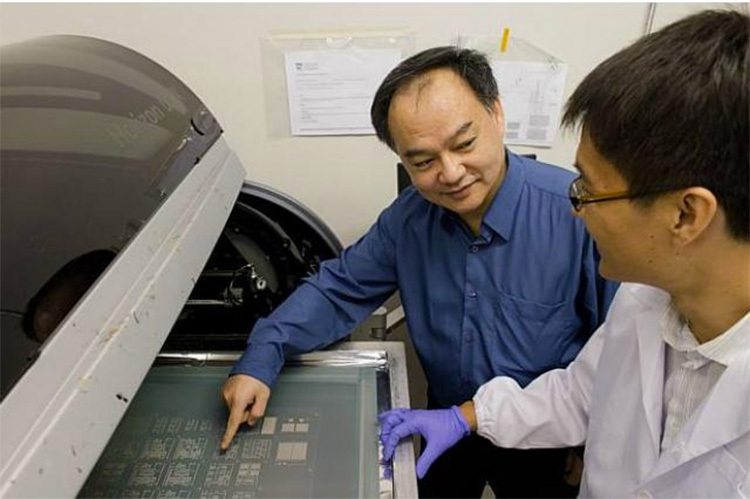 The NTU researchers have received $1.5 million of funding over the last four years to create these printed electronics. NTU is now hoping to build a start up company that will allow Chang and his team to sell the smart wallpaper commercially and eventually see it in homes around the world. This really could be the future of interior design if the wallpaper is a success and becomes affordable enough for homeowners to buy. It could transform the way our homes work, and really help the disabled and elderly who live alone.